The independent creative agency CULT has launched its first ever Amazon Alexa and Google Home voice app, Mindscape. 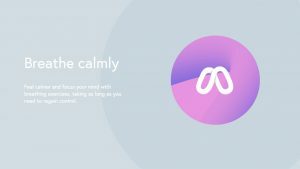 Created to offer front-line support to people suffering from anxiety or a panic attack, Mindscape was released on October 9 and is the first product created by CULT Experiment, the agencyâs new offering – an innovation lab dedicated to creating products that integrate emerging technology with human need. 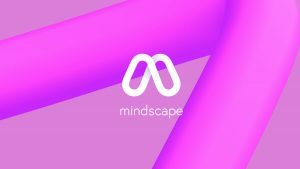 A world first, Mindscape combines voice technology, AI and neuroscience-based music therapy to support positive mental health. Made in collaboration with MassiveMusic and Voxly Digital and in collaboration with the UKâs largest mental health charity Mindâs Haringey branch; the idea for Mindscape was conceived at CULT Experiment and funded by the agency. Mindscape is available to download for free for Amazon Alexa and Google Home. The beauty of using voice is that it allows the user an opportunity to interact from a distance; giving them the encouragement to put down their phone, laptop or tablet and to engage verbally with an external source. Speech is one of the most efficient forms of data input; with most people speaking 150 words per minute, compared with an average typing speed of 40. Google research tells us that 72% of people who own a voice-activate speaker say their devices are used as a part of their daily routine. Whilst GeoMarketing reports that 65% of people who own an Amazon Echo or Google Home canât imagine going back to the days before they had a smart speaker. The power of neuroscience and its effects on the brain has long been documented. Massive Music, in collaboration with CULT provided four bespoke soundscapes and advised on the sound and pitch of Mindscapes accent. 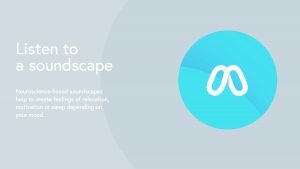 Mindscape has been developed so that additional soundscapes can be added to the application as it grows Â and gains users. The existing pieces of music have been composed using scientifically proven sonic features which are known to provide anxiety relief, help troubled sleepers and uplift those experiencing low-mood. For example, in the sleep track, MassiveMusic used rhythmic entrainment to gradually ease listeners to sleep across a 20 minute period. The piece begins at a tempo of 70 beats per minute (average resting heart rate), and gradually decreases to 50 beats per minute (average heart rate during sleep). Rhythmic entrainment involves our unique human ability to âlock-inâ to an external pulse – the human body naturally augments its internal rhythm in response to an external pulse, and has been widely proven to have a therapeutic effect. Mindscape officially launches on Monday 8th October 2018 in readiness for World Mental Health Day on Wednesday 10th October. It will be available to all English language speaking countries. You can experience the app at Google HomeÂ and Amazon Alexa using the voice command âopen Mindscapeâ.